Home » Business and Business Energy News UK » Made in Bury Business Awards finalists released! 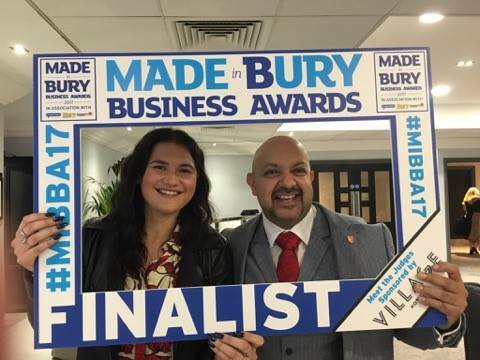 Made in Bury Business Awards finalists released! We’re looking forward to this years’ Made in Bury Business Awards! The Made in Bury Business Awards is a fantastic event that showcases the achievements of the finest businesses and individuals in our area. As a business, the team at Exchange Utility feel privileged to be involved in the scheme yet again and are looking forward to a night of black tie celebrations. There’s some tough competition for the 2017 Bury award scheme – but who will be walking away with the title? After a gruelling judge meet and greet round, on the 17th October 2017, the finalists for each category were announced. Best in class customer service: AFG Law, Complete Driveway Designs and EXCHANGE UTILITY! This year’s award ceremony will be held at the Longfield Suite in Prestwich and is set to be a glamorous affair with champagne flowing throughout the night. 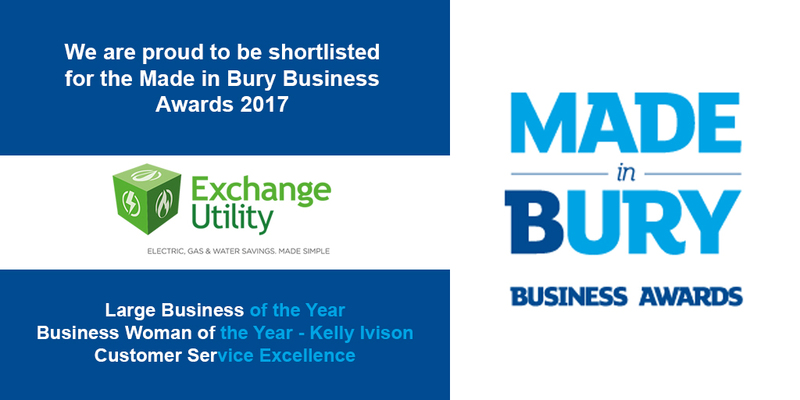 The team at Exchange Utility would like to wholeheartedly wish the other competitors the best of luck in the Made in Bury Awards 2017. We would also like to thank the Best of Bury and the sponsors of the awards for making it possible for us to get involved again.